The individual or corporation who initiates an action is known as the plaintiff. The individual or corporation against whom an action is brought is known as the defendant. Anyone may file a claim; however, a minor under the age of 18 must bring an action through his or her parent or guardian. A corporation must bring an action through an officer, salaried employee or an attorney at law. It is the duty of the plaintiff to supply the correct name and address of all defendants. A certified letter to an individual in care of a business address, when the business is not involved with the suit is not acceptable, unless the individual would sign the certified receipt card. If a business is incorporated, you must supply the exact corporate title of the defendant. You may be able to determine whether the defendant is incorporated by contacting the Secretary of State, Corporation Section, (614) 466-3910. If the business is not incorporated, you must supply the name of the owner or owners. The Small Claims Division has jurisdiction over claims for the recovery of money only, for out of pocket loss only, disallowing no expenses incurred in attempting to collect, with a maximum allowable recovery of $6,000.00, exclusive of interest and court costs. Generally, the court has jurisdiction over a claim if the incident (or transaction) giving rise to the claim occurred in Fairfield County, or if the defendant resides in, or conducts business in Fairfield County. The individual signing the complaint must appear. If an attorney signs as agent for an individual, then both must appear. The filing fee (court cost) for a Small Claims action is $60.00 to file against one person, and $6.00 for each additional defendant. Costs can be recovered, provided you win your suit. All pleadings must be on 8 1/2 x 11 inch paper. Two copies of two estimates of repair, or repair bill. Accident report from the proper law enforcement agency. Two copies of receipt or canceled check, etc., showing payment. Lease agreement, if one exists. Witnesses who viewed the premises before and after occupancy. Photographs/video recording of the damage. Two copies of receipt, canceled check, or invoice showing value of the item lost, or estimate of the value of the property. Receipt from the transaction, or a witness who observed the transaction. Copies of estimates prepared by repair experts, showing the cost to complete or do over again, the alleged faulty or incomplete repairs. An expert witness in the field of such subject matter, to discuss the damages caused to the property. When any claim or defense is founded on an account or other written instrument, two copies are needed so one can be attached to the pleading. If not so attached, the reason for the omission must be stated in the pleading. If more than the legal rate of interest at the statutory rate is charged, you must show substantiation in writing that the defendant was aware of this at the time of the transaction. One continuance, not exceeding thirty (30) days may be granted to any party who makes such a request in writing, at least seven (7) days prior to the trial date. The request should include the names of the parties involved, the case number, and the reason for the continuance. The defendant has a right to transfer the case out of Small Claims Division and into the regular Civil Division. The defendant may do this in order to preserve his right to a trial by jury, and also his right to a stenographic record of the proceedings. Once transferred, the case will not return to the Small Claims Division. The transfer fee is $85.00. If you deny the plaintiff’s claim, and if you feel that the plaintiff actually owes you money as a result of the same incident or transaction, you may file a counterclaim. Counterclaims for less than $6,000.00 may be heard in Small Claims Division. If you believe you have a claim against the plaintiff, you must file a counterclaim with the court and must serve the plaintiff and all other parties with a copy of the counterclaim at least seven (7) days prior to the date of the trial of the plaintiff’s claim. The counterclaim filing fee is $85.00. If you do not contest the claim, you may contact the plaintiff and negotiate a settlement. The plaintiff must notify the court in writing upon payment in full of any claim. If you do receive a judgment and no action has been taken within five (5) years, then it becomes dormant and a special action must be filed in order to revive the claim. Prior to five years, contact the Small Claims Division for information to prevent a dormant judgment. At the trial you will have an opportunity to present your argument and your evidence to the court. You must have all of your evidence, substantiation, witnesses, etc., with you at the hearing of your case. You will also have a right to cross examine the defendant and his witnesses, in order to bring out points in your favor. Similarly, the defendant will have an opportunity to present his evidence to ask questions of the plaintiff. Individuals signing a Small Claims Complaint must appear at the hearing. NOTE: A CORPORATION APPEARING WITHOUT AN ATTORNEY AT LAW MAY NOT ENGAGE IN CROSS EXAMINATION, ARGUMENT OR OTHER ACTS OF ADVOCACY. IT IS STRONGLY RECOMMENDED THAT A CORPORATION BE REPRESENTED AT THE HEARING BY AN ATTORNEY AT LAW. THE PERSON SIGNING THE COMPLAINT MUST APPEAR. IF AN ATTORNEY SIGNS THE COMPLAINT, THEN THE PLAINTIFF MUST APPEAR ALSO. The court, after hearing the case on its merits, will render a decision. The decision may be announced at the conclusion of the case, or it may be mailed to you in the form of a written opinion. Within fourteen (14) days from the filing of the Decision of the Magistrate, any party may serve upon the other party, and file with the court, written objections to the Magistrate’s Decision. The objections and the case will then be assigned to a Judge for his consideration. The Judge may then modify the recommendation of the Magistrate, order a new hearing, or approve the Decision of the Magistrate and enter a judgment. The filing fee for Objections to the Magistrate’s Decision is $35.00. If the case is decided in favor of the plaintiff, the defendant should make arrangements to pay the plaintiff the amount of the judgment. Otherwise, the plaintiff can proceed against the defendant, to collect the judgment amount through garnishment of personal earnings, bank attachment, etc. The personnel in the Small Claims Division will be able to assist you in completing any forms needed, which you may not understand, but cannot help you in investigating the whereabouts of the defendant’s income or property. Representation by an attorney at law is permitted, but not required. If you have any questions concerning your legal rights, you should contact your attorney for advice before coming to the Small Claims Division, as the personnel cannot give you legal advice. Typically, the hearing date is scheduled in approximately 30 to 45 days from the date of filing, and are held in Courtroom #2 at 136 West Main Street, Lancaster, Ohio. The filing party in a Small Claims action is known as the plaintiff. After judgment, that party is known as the judgment creditor. The defendant becomes the judgment debtor. It is the responsibility of the creditor, not the Court, to collect the judgment owing. After the filing of a Magistrate’s Decision, where no settlement has been made between the parties, the judgment creditor cannot take any action to collect until the fourteen-day appeal period has elapsed. Below are several courses of collection, and although the Small Claims Division will assist you by providing and in the preparation of completing forms, we cannot give you legal advice in your collection procedures. You may file a request for a Financial Statement if, thirty days after judgment, the judgment remains unpaid and the parties have not otherwise agreed. The Court will order the judgment debtor to answer questions as to his or her financial status (assets, liabilities and personal earnings). The judgment debtor will have seven days from the date of receipt to respond. Court costs are $35.00. Fill out in duplicate, “NOTICE OF COURT PROCEEDING TO COLLECT DEBT”. Send one copy of the “NOTICE” to the defendant by regular mail with certificate of mailing or by certified mail with return receipt. If, after 15 days from the date of service, or the date of mailing, you have not received a satisfactory reply, you may then proceed to file the garnishment papers with the Clerk. $135.00 in cash, check or money order made payable to Fairfield County Municipal Court if the Judgment amount is $500.00 or more. $60.00 in cash, check or money order if the Judgment amount is under $500.00. NOTE: The garnishment may be filed no sooner than 15 days from the date of mailing or date of service of the “NOTICE”, and not more than 45 days, after the demand is made. Once your garnishment of personal earnings is successful, it is your responsibility to file annually, an Affidavit of Current Balance Due with the court, employer and defendant. Additionally, you are required to send the Notice and Request for Hearing, along with a self addressed, stamped envelope, addressed to the court, with the defendant’s copy of the Affidavit of Current Balance Due. A Court order requiring the debtor’s bank to take money from the debtor’s checking and/or savings account, not exempted by law. You must have knowledge of where the judgment debtor conducts his or her banking and additional information (i.e., bank account number or social security number) is helpful. Court costs are $85.00 and a separate $1.00 check or money order made payable to the bank. Filing a request for a Certificate of Judgment will place a claim on the property of another, as security for the payment of the judgment. It is your responsibility to file the Certificate of Judgment with the Court of Common Pleas in the county where the judgment debtor’s property is located. 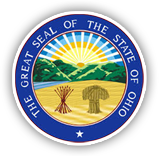 Court costs are $35.00 and does not include the Common Pleas filing fee.